2. 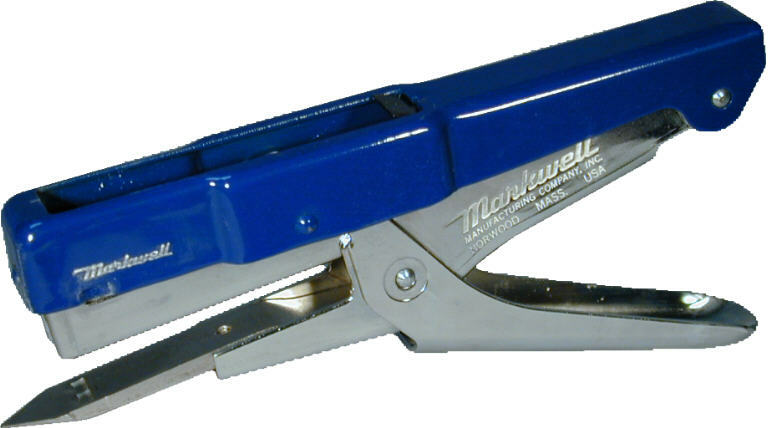 MPL3 Industrial stapling plier. An industrial quality rugged manual plier stapler designed for continuous heavy duty operation, with no removable parts that can be lost. A "must" for shipping rooms and stapling-assembly operations. An industrial quality rugged manual plier stapler designed for continuous heavy duty operation, with no removable parts that can be lost. Features a pointed anvil for many useful shipping room applications. Identical to the MPL3-CS stapling plier, but with a specially modified pointed anvil for a longer reach, for many useful shipping room applications. 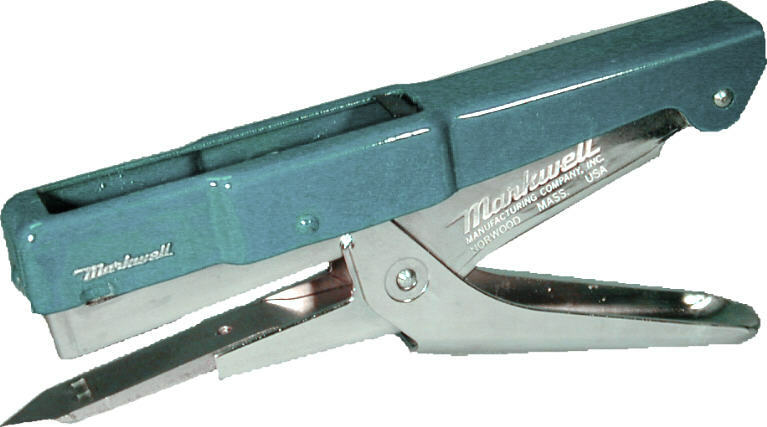 An industrial quality rugged manual plier stapler designed to be able to clinch staples over a ribbed obstruction. 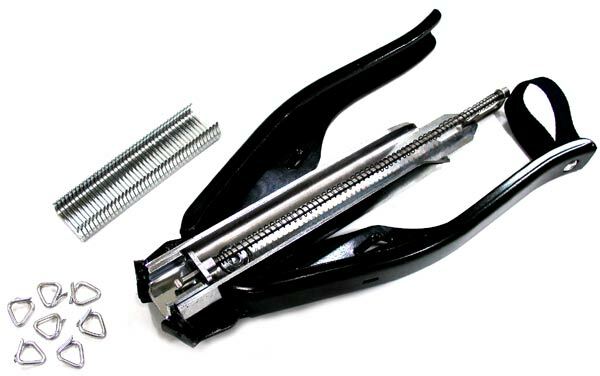 An industrial quality rugged manual plier stapler using fine wire staples, designed for continuous heavy duty operation. 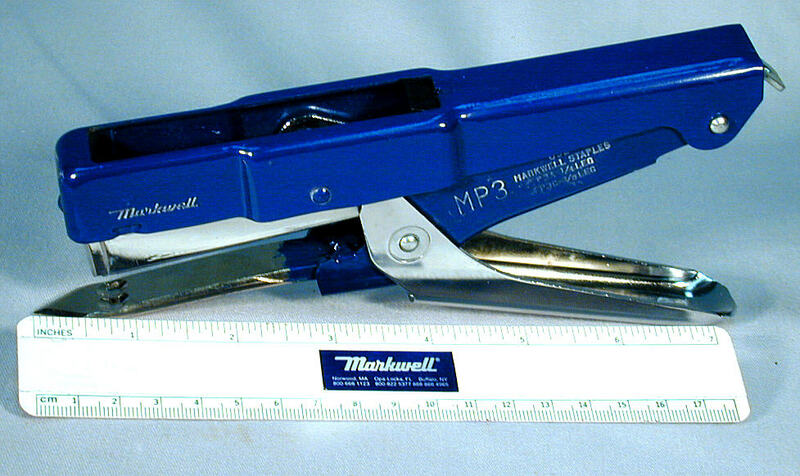 A unique heavy duty plier stapler designed to be able to clinch staples over a ribbed obstruction. 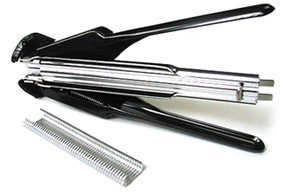 A durable cost-effective hog ring plier that uses commonly available hog rings. An industrial quality all metal rugged manual plier stapler designed for continuous heavy duty operation, with no removable parts that can be lost. Uses STCR type staples.